(Below is the English version of an article I wrote for Danish comms site Kforum.dk (they wrote the header and the teaser, not me)). 650,000 fans on Facebook and a record-high engagement score – that’s what Maersk Line, the world’s largest container shipping company, has achieved in its first year on social media. 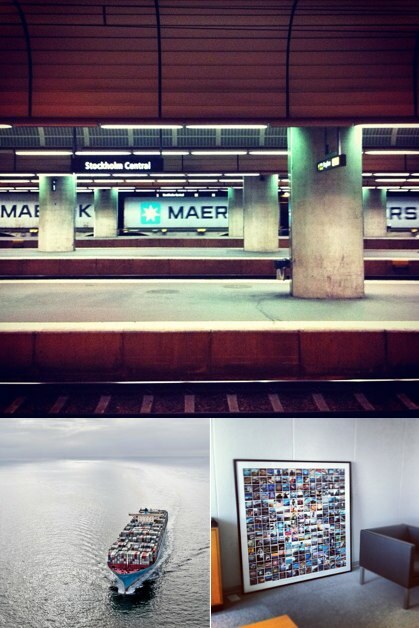 Comments, photo sharing and ‘likes’ are flooding in to Maersk Line via Instagram, Facebook, Pinterest and Twitter. Miraculous? Maybe not quite. 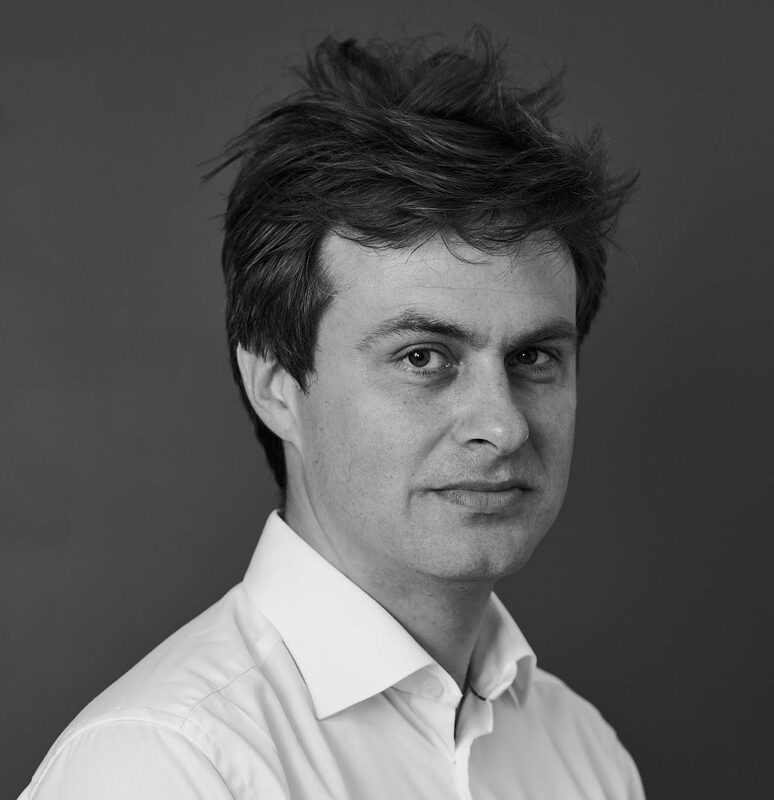 In this article, Jonathan Wichmann, the company’s head of social media, shares the recipe for Maersk Line’s success on social media. In Maersk Line, we got involved in social media a little more than a year ago, and in this space of time we have managed to achieve a quantum leap forward in our communication with our surroundings. Today, we are active on 10 different social media networks with 10 different aims. We have more than 650,000 fans on Facebook. And we have created a home for our social media presence, namely our website: Maersk Line Social. However, those are not the reasons why we won the ‘Social Media Campaign of the Year’ and ‘Community Presence’ awards at the European Digital Awards in Berlin a few months ago. We won those awards because of our approach to social media. Firstly, we did it all from within. What happened was that I was ‘in-sourced’ to manage the project, as it would not have been credible and vibrant otherwise. I have pretty much done everything myself, which of course is one of the ideas behind social media, where everything seems to have become accessible to everyone. What’s interesting about this, however, is the cost aspect. Our external costs for the year have only amounted to just under USD 60,000. This amount can only be regarded as peanuts when you consider the size and turnover of the company – and when you look at what other global companies pump into it. The second thing we were awarded for was the way we think about social media and the record-high engagement we have achieved – on Facebook and other sites – as a result of our approach. From the outset, we have been conscious of the widespread (and misunderstood) tendency to regard social media as nothing more than the sum of a series of digital platforms on which companies can disseminate their news and campaigns directly to users of the various networks. Social media are about communication, not marketing. It is about engaging, not disseminating. It has to be vibrant and credible. The third thing we were awarded for in Berlin was the fact that Maersk Line is a classic B2B company, and there is a shortage of examples of such companies using social media networks well. In other words, we are not talking about your typical FMCG company, such as Coca-Cola or Red Bull, but rather about something as dry as container transport. It was therefore even more satisfying to win ahead of 500 participants, including all of the well-known brands on the social media scene. In our original strategy, we accounted for what we could achieve via social media, including brand awareness, insight into the market and increased employee satisfaction. But our primary goal has always been “to get closer to our customers”. In terms of our tactics, we decided to begin with Facebook, creating volume there, and then to build on that on other platforms which enable us to achieve different objectives for other target groups. The growth in the number of fans of Maersk Line’s Facebook page. This is not a particularly interesting fact in its own right, however. Yes, a critical mass is necessary to kick-start efforts. But it has much more to do with engagement – in other words, how well you can engage your fan base every time you post a new story? We therefore conducted a mini-study in order to measure our performance against leading social media brands on Facebook (based on metrics that measure the number of likes, shares and comments linked to the last 10 posts against the number of fans), and the results were in our favour. Engagement-score comparison between Maersk Line and the leading social media brands. How did we achieve such a good score? We did it partly by attracting attention visually, such as by including users’ own Instagram photos of Maersk containers and ships. And we also did it by not being afraid to share both positive and negative stories, reflecting our efforts to be vibrant as well as credible. An example of the latter was when we told the story about how one of our ships had called into port in Rotterdam with a dead whale on the bow. The ship had unwittingly sailed into the whale on the open sea. We would probably not have been proactive about sharing such a story in the past. But in today’s world it is better to just come out and talk about what has happened instead of trying to suppress the issue. And this was obviously an unintentional event on our part. So we prepared a short Q&A in which we asked ourselves where, how and why. We then created a Facebook post. The post on Facebook describing Maersk Norwich’s encounter with a whale. Note the so-called ‘like-to-share’ ratio which is almost 1 to 1. That particular post was shared more than any other, and all of the comments were actually positive. We have since been praised for the way we handled the situation, and we even created an album on Pinterest featuring beautiful photographs of whales under the heading “In memory of the Maersk Norwich Whale”. We use Twitter in a very distinct way. Under the @MaerskLine profile, we share our more serious news with the shipping press and quite a few other people in our industry. It is equally important for us to have a panel of Maersk Line tweeters. This panel includes a captain, an individual from our Graduate Programme and a number of Maersk directors, among others. It is a simple and effective way to create transparency, to bring our employees’ expertise and diversity into play, and to ensure that the social media way of thinking takes hold within the organisation. In November, Maersk Line was asked a question on Twitter about how they were planning to weather Hurricane Sandy? This video provided the response on Twitter. The video was soon after picked-up and shared on Forbes.com. Our use of Instagram has been praised and emphasised by many experts. It is basically a way of exploiting the fact that our brand is so visually accessible all over the world. Most people are familiar with the Maersk star, even if they have never booked a container. By sharing our pictures on Instagram, we have also managed to start a #maersk spotting trend: When people around the world see a Maersk container in the street or spot one of our ships at sea, they take a photo with their mobile phone and share it on Instagram – and from there it is shared on Facebook, Twitter, etc. One of the outcomes of this effort is evident today: we have created a mosaic (in which it’s possible to spot the star in the middle, at a distance) featuring users’ #maersk photos. There are two versions of this picture: One of the versions is hanging in Maersk Line CEO Søren Skou’s office. The other version is hanging in the canteen at the Maersk HQ in Copenhagen, Denmark. Top: Maersk containers spotted at Stockholm Central (shared by @mgnfq). Bottom left: Edith Maersk in Hong Kong (shared by @MaerskLine). Bottom right: #maersk mosaic in the CEO’s office. It is one thing to have photos and get attention. It is quite another to exploit social media in order to gain knowledge alongside experts whom one would not otherwise encounter. Our group on LinkedIn, which is called “The Shipping Circle”, is an example of the latter. We have used this forum to invite a number of shipping experts from around the world to have debates with us about the challenges facing our industry, opportunities for innovation, etc. And this has paid off. This forum enables you – and us – to read extensive contributions from people who really know what they are talking about. One should not reject the possibility of ideas and thoughts emerging from this group ultimately influencing strategic decisions about the company’s future activity. Another challenge for a global company such as ours is that we have over 100 people working in communication posted at various offices around the world, where they work on local customer communication campaigns, particularly via email campaigns for now. At one point during the past year they started to create their own Facebook pages, an initiative that was not really managed centrally. We solved this issue by giving them access to post local news on our global Facebook page instead of having their own local pages. We have set this up so that their posts are only visible to their own region. This simplifies our global efforts, and it also ensures that we actually do get closer to our customers. What is the value? And where are we going? Finally, we should mention that we are currently working on a study which is investigating the value of social media for a company such as ours. It will also indicate how we can make the most of it in the future. The study has already garnered attention, both from the press and from international B2B companies, since we are entering uncharted territory and challenging the status quo, one could say. The study has been developed around a total of eight Google Hangouts (online video interviews) with a number of leading American social media experts who are willing to share their knowledge with us. Jay Baer, Michael Chui and Jeremiah Owyang are among the participants. In this way, the study shows the way forward in two ways: It will not only give us a benchmark, but it will also demonstrate the value of social media, namely that we can become wiser more quickly and inexpensively today – and hopefully achieve a better result in the end. Hi George – see this! Glad i stumbled across this. This is an absolutely brilliant insight into how to make a social media campaign successful. Really interesting read. Have re-posted to the Image Line Communications Blog.